We have a battle of the 4G smartphones on the Verizon network for your viewing consideration below, a video comparison fight that pits the might of the HTC Thunderbolt against newcomer and recently released, the LG Revolution, so which of these two Big Red 4G handsets can come out tops? The LG Revolution against the HTC Thunderbolt comparison video comes out way courtesy of the guys over at Daily Mobile and by way of Phone Arena who have actually compiled a four page in-dept written comparison between the two Android handset, which you can check out by hitting up their website. However, if you simple don’t have time to check out the full on written comparison then you might be able to spare seventeen minutes to watch the video comparison below where the guys compare the differences between both handsets. 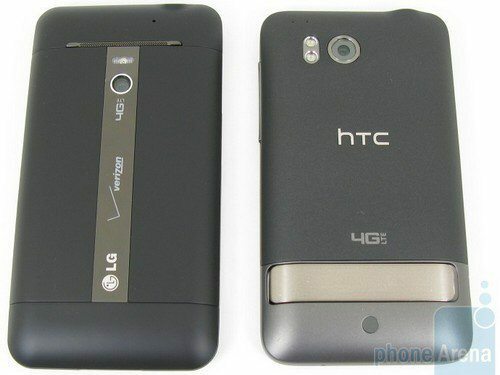 So can the LG Revolution mount a challenge to the HTC Thunderbolt supremacy on Verizon’s 4G LTE network? Obviously I’m not going to give you the outcome as it would mean it wouldn’t be necessary to watch the footage, so I’ll let you get right to just that, and feel free to let us know if you agree or disagree with the comparison battle outcome…enjoy. Next article Next post: Galaxy S2 Advert: What Does This Have To Do With It?